“Why can’t you just chill out?” said the Buddha, his face calm and steady before me. It was my day off in Paris today after a long week of work, and I had big plans. Big plans, I tell you! I wanted to cram way too much Parisian activity into a weekend, starting with visiting the Guimet Asian Art Museum. By the time I arrived there, I was a sweaty mess. 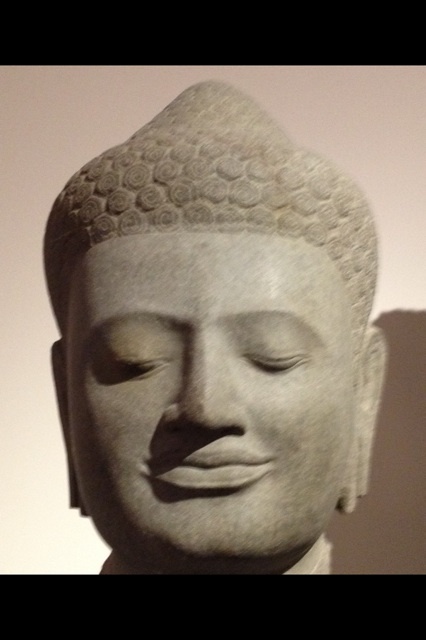 I had walked way too fast because of the limited time to see the Buddhist sculptures exhibit before seeing a friend. I huffed up the stairs, bought my ticket and then ran into a slow-moving tour group. Move out of my way, I have to see some Buddhas! Of course, the Buddha’s peaceful face mocked me. How can I possibly enjoy the gorgeous Angkor-era Buddhist statues and bas reliefs in this gorgeous museum when I’m rushing around? I couldn’t possibly enjoy the moment. Traveling isn’t about ticking the boxes and cramming a gajillion activities into a weekend. It’s about exploring the moment and soaking up the culture and everyday life around me. So for the rest of the day, I abandoned my to-do list.. After drinking tea and eating yummy macarons with an old friend, I explored the Marais, the hip shopping area with small windy roads, and I got lost. Gladly. 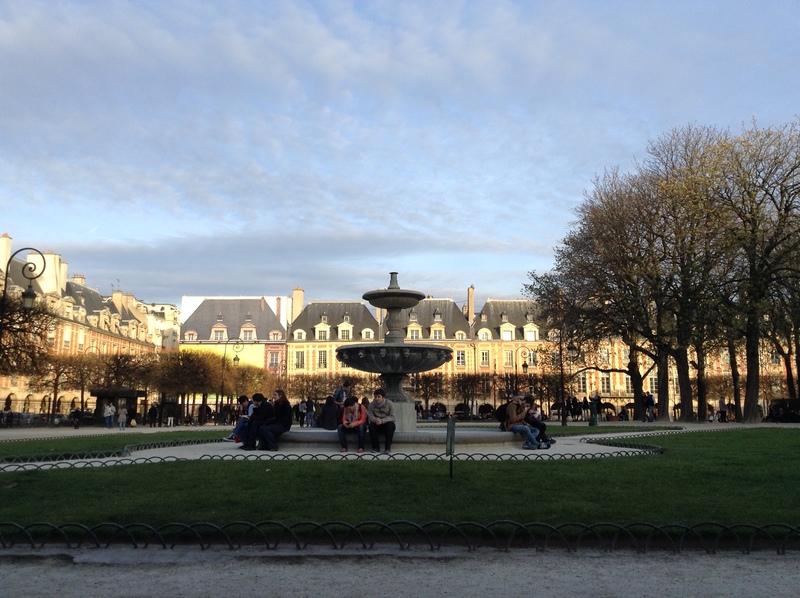 I did manage to find Place des Vosges, a bustling park, and I read a book and watched a group of teenage girls munch on cheese and crackers as they gawked at boys nearby doing the same. 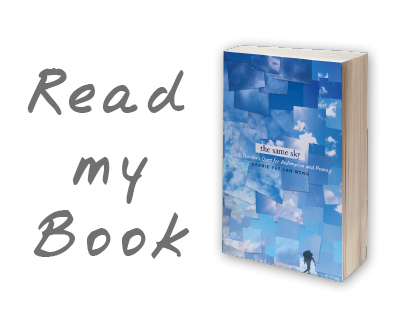 I’m reminded again of how I can get so caught up with doing it all, seeing it all. that I miss out on the main reason why I enjoy traveling: to explore a new place and to live in the moment. Well, tomorrow’s a new day! 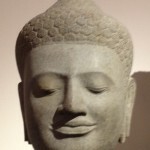 Off to bed…will keep the Buddha’s calm face in mind.